This guide is available to download as a free PDF. Download HDRI Photography: An Essential Skills And Workflow Primer now. Feel free to copy and share this with your friends and family. §2–Equipment – What will I need? §3–So how do I do it? This guide outlines concepts involved in HDR photography followed by a logical progression of steps in the production of high dynamic range images. It is directed toward anyone that has any interest in creative photography from beginner to professional. 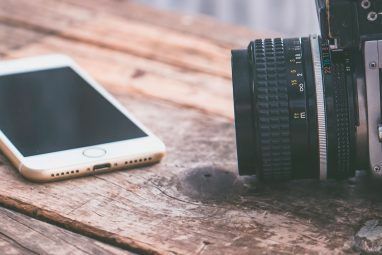 While some concepts will be more familiar to more experienced photographers, this guide presumes that you have a pre-existing understanding of mere fundamental photographic concepts. Some of the more advanced concepts will be explained in context as they are met. For some of the more advanced topics that reside outside the scope of this guide and warrant a more in-depth discussion, readers will be directed to some helpful documentation for additional information. Those, along with other useful resources can be found at the end of the guide under “Further reading”. 0.1 What the heck is HDRI photography? A question frequently asked by many amateur and novice photographers is, “What is HDRI?”. HDRI stands for High Dynamic Range Imaging, or sometimes simply referred to as HDR photography. Without getting overly technical, HDRI is a photographic process used to more faithfully reproduce tonal light qualities in photographic images. It is currently a rapidly growing trend in digital photography and many photographic sites now feature a section exclusively dedicated to HDRI. HDR arises from the fact that the range of contrast that can be captured by an image sensor in a single shot is dwarfed by the range of contrast values that can be detected by the human eye. The result of which is images that appear tonally curtailed, or otherwise heavily biased in exposure. This is why you’ll invariably come across pictures that, at the same time, contain regions of overexposure, underexposure, and only a portion, if at all, that is properly exposed. So you can’t capture all the light information in a single exposure. But what if you took more than one exposure and then were able to select the regions from each and combine them in order to represent the scene properly? Well, you can – with HDRI. While the camera can’t “see” a very broad range of tonal quality at once, by combining multiple snapshots – typically three or more – at different levels of exposure, the breadth of tonal quality can be extended, ultimately resulting in more robust photographs. While there are traditional in-camera steps you can take to capture more of the detail that you want and end up with a reasonably centred exposure, none of them by themselves will allow you to capture the range of contrast that resembles that which can be seen with the human eye. That is what HDRI allows you to achieve. More than allowing you to produce incredibly realistic looking photographs though, the HDR process also allows you to create some dramatic and stunningly surreal images as well. 0.3 Sounds good, but is this for me? If you are an amateur photographer, then HDR is for you. If you are an artist, then HDR is for you. If you consider yourself ahead of the curve when it comes to trends, well guess what – HDR is for you. HDRI, although not necessarily a new concept by any stretch, has been making strides into the mainstream of late and is poised to become, as some may say, the future wave of digital photography. 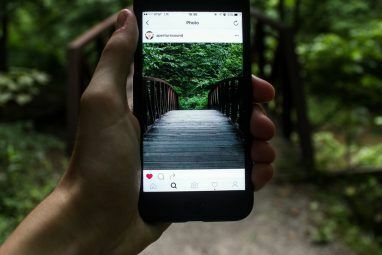 So whether you’re are a true die-hard, an amateur photographer that wants to do more, or are just into new things in general, since such images are already commonplace on the Web and in print, if your photos are to make an impact, this is something you’ll want to become familiar with sooner than later. For the artist, the major upshot to doing your own HDRI – as opposed to using an in-camera solution – is that you are more engaged, more immersed in the creative process, and possess a high degree of control over all aspects of the work. Mind you, there is a certain time-commitment involved in HDRI processing that depends a great deal not only on the level of processing power at your disposal, but also your level of familiarity with the process. So with that in mind, if you’ve never really been one to spend quality time with your photos after a long day of shooting – I can’t imagine anyone that wouldn’t – or maybe you’ve never been a fan of learning curves in general, then perhaps an in-camera solution would be better suited to you. You should keep in mind however that with practise, you will develop a your own streamlined workflow that will reduce your required time investment. In the past, HDRI was been considered as an alternative photographic technique. However, fostered by technological advancement and drop in costs, HDR is beginning to merge into the mainstream. Still, it should not be thought of as something new. Photographers have in one way or another been combining differently exposed pictures since the 1850s, when Gustave Le Gray, one of photography’s early innovators, began imaging seascapes and combining separately exposed negatives of sea and of sky. Of course, there have been subsequent advancements and other techniques have emerged to extend the range of luminosity presented in photographs and in film. The modern technique of increasing dynamic range is referred to as exposure-bracketing. This can be easily achieved with almost any camera that has a Manual setting allowing you to change the exposure value, or EV, of the photo. More on that later. Nowadays, there exists a class of camera that will do in-camera HDR. Some might even say this is the way of the future of digital photography. Most of the big players in the digital photo industry offer in-camera HDR but they usually fall into the high-end DSLRs and point-and-shoot category. If you’ve seen any examples of in-camera HDR, you already know that they produce excellent results. And if you have the means, it may be worth checking out. You don’t always have time to compose a scene so this could be an excellent option for those instances, or for those who simply aren’t interested in the rigmarole. However, there are mixed feelings about whether in-camera HDR is a detriment to the craft of HDR in the sense that it undermines the value of works done by conventional HDR artists. Overall, the concept is fairly straightforward and the process can be a fun and engaging activity. What it consists of, essentially, is combining three or more differently exposed pictures into one using specialized software, and then adjusting the resulting image by means of a process called tone-mapping Let’s begin the technical part by introducing a few key terms. At the heart of the discussion, fittingly, is dynamic range. It can be described as the certain breadth – range, if you will – of light tone captured by a photographic device, or displayed on screen or in print. To illustrate, it is sometimes presented as “dynamic contrast ratio” in the technical specifications of LCD and plasma televisions (although there is not yet a reliably standard way of measuring this), which compares the most luminous quantity to the least luminous quantity possible of being displayed. The dynamic range can be thought of as the difference between these two quantities. This describes a photo or even video file-format that contains high resolution information on a wide spectrum of tonal quality, or brightness. Generally speaking, these resolutions cannot be fully realized with traditional media such as computer monitors and print without first going through a process of tone-mapping, although advances in LCD technology are striving toward being capable of displaying in true HDR. This is a leading industry standard open source file-type used to store HDR photography photos. It is developed by Industrial Light and Magic and supports 16 or 32-bit floating-point, or 16-bit integer per channel. In contrast to HDR. these traditional formats are known as lossy, meaning that they do not have the capacity to hold as much light information as HDR formats. These file-types are optimized for the Web sharing, and as such they have much smaller file-sizes. Exposure can be thought of as the amount of light information that reaches and thus recorded by the image sensor. It is determined by aperture value (f/number), and shutter speed value. In fact it is dependent on another factor, ISO sensitivity, but traditionally this is held constant over a set of photographs. For every +/- increment of either of these values you halve/double the exposure respectively. There are a few ways to control the level of exposure in your photographs but all involve adjusting either the aperture or the shutter speed, or both simultaneously. There are subtle nuances to what people mean when they speak of EV. How the term is used tends to be contextually dependent. The EV figure referred to in HDR processing is no exception and runs counter to the technical definition of EV. To avoid a long (and somewhat tedious) exploration of EV theory, suffice it to say that the EV we’re talking about here is a +/- measure of the amount of over(+) or under(-) exposure of an image. A +1 EV increment doubles the exposure while a -1 EV increment halves the exposure. In the strictest sense, what we are referring to here is actually what is known as exposure-compensation. In the following two pictures, the one on the left is normally exposed while the one on the right has an EV-compensation of +2 EV. You will find EV information embedded in the image EXIF meta-data that is recorded at the time you take the shot. Any photographic software you’ll come across is surely to be EXIF-aware and will read this information automatically. Taking multiple differentially exposed shots of a single subject is what is known as exposure-bracketing. The following pictures represent a series of five manually bracketed shots taken with increasing exposures. Many digital cameras, mainly DSLRs, offer a level of automation for bracketing called auto-bracket. This is worth looking into because HDRI is what these cameras are really ideal for. Generally cameras will allow you to set your camera in advance to take three different exposures in rapid succession. Usually they will accommodate up to +/-2 EV. 2. Equipment – What will I need? For this endeavour you’ll need a digital camera – either point-and-shoot or DSLR – that allows you to do exposure-bracketing. Most cameras have at least some way to change the exposure of your images so, if you have a camera, the odds are you can do this. Exceptions are probably things like cell phone cameras. Of course, the higher end cameras such as DSLRs will yield best results, but even modest pocket cameras will do for HDRI. For best results, you really have to keep the camera steady while shooting. For that reason, you’ll find it a great help to have a sturdy tripod. You’re not always going to have a tripod handy because they can be cumbersome, or maybe you just don’t have one. Whatever the case, you don’t absolutely need one. It will just make your resulting HDR images that much better if your original images contain no parallax artefacts caused by camera movement. Parallax is just how a scene appears different from different angles. Even imperceptible changes in the angle your camera is held can cause discernible differences in your images. As stated earlier, one caveat is that the process can be very time consuming without the proper computing power. The time required for processing images will also be proportionate to image size and whether you’re using a high resolution format such as RAW. As an example, HDR processing on a modest business class laptop equipped with a Pentium M @ 1.6 GHz and 1GB of memory can take tens of minutes to align an image stack, and even longer to tone-map a high-resolution image. All that means is that it is completely possible to do HDRI even if you have an older computer – it just takes longer. However, some software have minimum requirements well above this. In this case, the adage “more is more” certainly applies. Luckily, these days even basic computers are much more powerful and efficient, and can handle the heavy lifting of HDRI processing gracefully. For starters, you should be working with at least 2 GB of ram, but 4 GB or more is better. Note: In order to take advantage of > 4GB, you need a 64-bit OS. A modern graphics card will make your life a lot easier too. Look for something like Radeon or Intel HD series or NVIDIA GeForce. A 32-bit OS will work fine in most cases, but check the specs of the software you plan to use to make sure you can run it on your system. Keep in mind, a 64-bit system can shuffle data around a lot faster. Linux, Mac, and Windows all have appropriate 32 and 64-bit versions. You have options. In terms of software, there are several software options that attempt to be a complete HDR workflow solution. While you have to look no further than an Internet search on “HDR software” to get a whole slew of review sites with claims about the best HDR programs, the only “best” program is the “best program for you” program. That is to say you’ll get different image results from different packages, and HDRI is highly subjective. The only way to find out which one is really the best is to try out as many as you can until you find one that you like. Some of these are commercial while others are freely available. Some will be available for your OS and others will not. Nevertheless, most of them at least have trial versions that you can evaluate to find out which one yields the best results for you. Whatever software you end up choosing for your HDR creation, the concept and the logical process is going to be pretty well the same set of steps as we describe in this guide. Formerly known only by the obscure moniker “qtpfsgui”, Luminance HDR is an open source workflow solution for HDR creation and tone-mapping. This is an excellent place for HDR enthusiasts to familiarize themselves with the process, because it is open source and free to download and use. It is also the software that will be described in later steps. It is available in pre-compiled 32 and 64-bit versions for Mac and Windows. Linux users should check their distribution’s repositories for pre-compiled versions. Alternatively, if you want to custom compile it for your system, the source is also freely available for download. Don’t be fooled. You can, and in all likelihood will, spend a lot or even most of your time in post-processing working with curves, HSV levels in order to get just the right effect. If you haven’t been living under a rock recently you have undoubtedly heard of Photoshop. While this is pay-to-use software there is, as usual, a robust open source alternative called the GIMP. GIMP, a recursive acronym standing for GNU Image Manipulation Program, is freely available mainly for Linux, but versions exist for Windows, and Mac platforms too. This is the minimum post-processing software you should think of having. You can get a copy of the GIMP from their website at http://www.gimp.org/ by following the link to their Download section. As with the HDR software, post-processing software is really up to personal taste. The best solution for you will depend on what you want to accomplish. Leading software suites will give you the option to try-before-you-buy so you don’t have to spend money on something you’re not thrilled with. 3. So how do I do it? So, without further delay, let’s explore each of the steps in some detail. So first thing, you’re going to need some pictures to work with – at least three in fact – with different exposure levels. Ideally, you’ll want to mount your camera on a tripod or use some other means to stabilize the camera when composing your scene. This is so the three pictures turn out to be geometrically as similar as possible to one another. For best results, pictures should be taken at the highest resolution your camera will allow. JPEGs are acceptable but ideally you should be shooting using the camera’s RAW picture format. The trade-off is that RAW format pictures can be huge because of the extra colour information they contain and therefore take longer to process afterward. Then you’ll shoot your exposures in one of the two bracketing procedures that follow. You should determine whether your camera has an auto-bracket feature. This is the best and perhaps easiest way to capture your shots. What auto-bracketing allows you to do is, in advance, set up the desired EV settings for three (perhaps more) shots that will then be taken in rapid succession. Since the procedure to set up auto-bracket mode differs from one camera to another, and different levels of sophistication exist surrounding auto-bracketing, it is best to refer to your camera’s documentation on how to implement it and for achieving best results. If you don’t have auto-bracket on your camera, don’t panic. As mentioned earlier there are other ways to manually change the exposure in your shots. Generally, auto-bracketing will usually allow you to change the exposure up to +/- 2EV in 1/2 or 1/3 EV steps. More sophisticated implementations allow you to also change the exposure-compensation of your zero-EV reference image in addition. Once you have your scene composed and auto-bracket set up like you like it, it’s simply a matter of holding down the shutter release to capture the shots. It should go without saying, but it’s important especially when starting out, to review your exposures to verify that they aren’t completely overexposed (whited-out), or underexposed (blacked-out). Note that, the manner in which your camera goes about automatically achieving the different exposures, depends on whether you have your camera set to aperture priority, shutter priority, or full manual – typically denoted Av, Tv, or M respectively on your camera’s program dial. Av setting will hold the aperture constant while adjusting the shutter speed. Tv setting will hold the shutter speed constant while adjusting the aperture. M setting will adjust both aperture and shutter speed as your camera sees fit to do. Tv, shutter priority, is probably the best one to go with especially in low light conditions or rapidly changing scenes because it is quicker for the camera to simply adjust the aperture and thus the quickest way for the camera to take successive shots. Although not a major consideration, be aware that by changing the aperture, you also change the depth of field. At this point you would skip to the processing stage to create the HDR image. For this you will need to manually set the values for aperture, and shutter speed. Remember to keep the ISO as low as you can to ensure the highest possible image quality. Select an appropriate ISO and initially, using a full-auto setting, snap a shot of your subject. If upon review you’re satisfied with the image, use these aperture and shutter speed values as a baseline by employing in your zero-EV reference image. To keep things simple when it comes to HDR photography – at least in the beginning – plan to implement just one or the other. Apart from those settings, there is a third adjustment you can make called EV-compensation that will be explained in turn. For every decrement in the f/number, the size of the aperture doubles, thus increasing the exposure by +1 EV. Conversely, to decrease the exposure by half, simply increment the f/number. If the f/number in your zero-EV image is say f/4.0 (or simply 4.0 as reported by your camera), to double the exposure, change your aperture setting to f/2.8. And halve the exposure by “stopping-down” to f/5.6. In a similar fashion, each decrement in the shutter speed value also increases the exposure by double or +1 EV. And to decrease the exposure by half, increment the shutter speed. *N.B. It should be noted that like f/numbers the shutter speed figure that is given on your camera is actually a reciprocal value meaning that it should be understood to mean 1/(shutter speed value). It actually refers to the time that the shutter remains open. So for example, a given shutter speed of 4000 means the shutter stays open for 1/4000 of a second. Even if your camera doesn’t come equipped with an auto-bracket function, and you are not familiar or are otherwise uncomfortable working with manual aperture and shutter speed settings, most digital cameras give you the option to easily (or perhaps not so easily) change the EV-compensation on-the-fly so to speak, by what is known as EV-compensation. This really takes any guesswork out of changing up the exposure levels. To implement this, first determine from your camera’s user manual how to change the EV-compensation. It is usually indicated on the outside of your camera with a picture resembling +/-Av. This adjustment may only be available in certain manual shooting modes on your camera. Make sure your flash is disabled. As with the manual bracketing, determine the aperture and shutter speed for your zero-EV image using one of your camera’s auto-modes. Once you have those settings dialled in you can set your camera’s EV-compensation to -1 EV for an underexposed image, and take the shot. Then set EV-compensation to 0-EV and again for +1-EV for the two increasingly exposed shots. While technically it is possible to adjust the ISO to change the exposure, it’s best to hold it constant for the sake of consistency in quality across the image set. Generally speaking, for best results keep the ISO as low as possible. Lower ISO settings lead to lower graininess and better colour. With the Luminance HDR program open, click on the “New Hdr…” button to begin a new project. Then load your set of three bracketed images. Place a “check” in the box that says “Auto Align Images”, and click “Next”. Note that this can take an appreciable amount of time on older/slower systems. If the camera moved at all during the shoot, the software will attempt to compensate for it. Once Luminance finishes processing the images, you have the option of manually adjusting the alignment but the software usually does a pretty great job at this so normally you’ll simply click “Next” after a cursory review. Here, you’re asked to choose some additional settings. Again, the native settings usually work just fine so you can go ahead and just click “Finish”. At this stage your HDR image has been created and you should save the file in one of the prescribed HDR formats – say OpenEXR. To proceed with the next stage, click “Tonemap the Hdr” button which will open the tone-mapping session in a mew window. The next step is tone-mapping the image. In the panel along the left side you are presented with a number of operators from the drop-down list. A technical discussion of the options of each of the operators is beyond the scope of this manual. However, the resulting low dynamic range (LDR) image is largely subjective – a matter of personal taste and artistic license. For that reason, the operators should be explored on an image by image basis. Once you come across a result that sweeps you off your feet, choose an output size for the LDR tone-mapped version, click “Apply”, and save it in your favourite image file format – JPEG is it? For this section, the GIMP image processing software is probably one of the easiest packages to use and become familiar with for accomplishing some final simple tweaks. As always however, feel free to use any other program(s) you are more familiar with for this process. For every person you ask, you’ll probably find a different way of touching up the end product. The route you take from here will largely be dictated by what you’re trying to achieve with the image. For that reason we won’t spend too much more time here except to set up a jumping-off point for you to explore your own artistry. 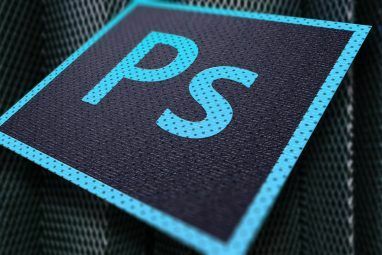 Additionally, there are a number of existing guides, freely available online that cover anything from the basics to advanced use of the GIMP and other Photoshop-like software. Apart from the time spent shooting your images, post-processing is where you’ll probably end up spending most of your time with HDR photography. With GIMP open, load your newly created JPEG. Curves: A simple s-curve, and selecting an appropriate black-point can work wonders to increase the contrast in any photo. Despeckle: If you find your image is a little too grainy, you can smooth it out with, among other things, the Despeckle tool. Unsharp mask: This setting really enhances shadows and makes colours pop. The list of things you can do in post processing is really limited only by your imagination, and sense of adventure. To find out more about the GIMP, including tutorials and user manual, go to the documentation section of the website at http://www.gimp.org/docs/. Remember, that we’re not claiming the GIMP is the be-all-and-end-all image processor – on the contrary. There are many other program you could use in lieu of, and in addition to, the GIMP and you are encouraged to try them. Looking back, we’ve covered some basic terms and concepts from what it is, to who it’s for and included a brief description of the origins of combinatorial photography. We’ve looked at the essential equipment required to get started in this burgeoning endeavour delivering an overview of the order of operations and included a how-to instructional on each stages of the process. Even if you weren’t the most confident of photographers at the outset, the skills you have attained by following this guide should give you a better sense of understanding of not only high dynamic range imaging but of photographic concepts in general. 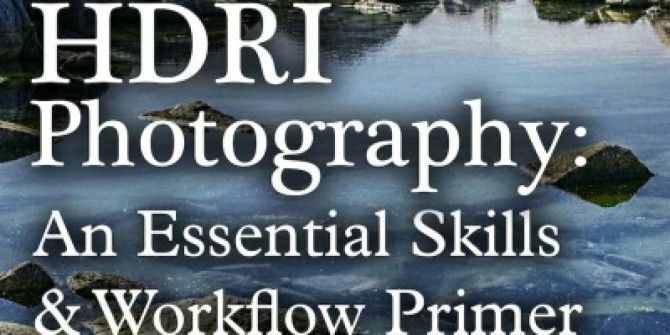 At this point, now that you have the firm foundation in the basics of HDRI with which to begin building a spectacular portfolio of HDR artwork, you are encouraged to peruse the list of resources provided to help you develop your skills and deepen your knowledge of digital photography. Myriad excellent resources exist on the web to help you hone your skills in HDRI. In fact, to begin with, look no further than these articles on MakeUseOf.com which themselves point to some great educational sites. Explore more about: Adobe Photoshop, Longform Guide, Photography.